2016 had plenty of new products and services with the iPhone 7 and Google Pixel stealing the lion’s share of praise but this was also a year of departures with several products coming to their end, often prematurely, and older companies throwing in the towel. Here we’ve gathered ten of 2016’s biggest curtain calls. Twitter’s earnings call on October 27 left people with a lot to feel grim about, namely that the beleaguered social media company would be shedding jobs globally. What also grabbed headlines was that it was calling time on Vine. The six second video sharing app has been wildly popular and a conduit for many a meme. But it struggled to make money and that’s exactly what Jack Dorsey and co are feeling the pressure of now. Plus Vine had been slowly but surely falling behind the likes of Snapchat and Instagram, especially when the latter added video. Vine may be dead but the memes’ memories live on. Surely this is 2016’s biggest product screw-up? 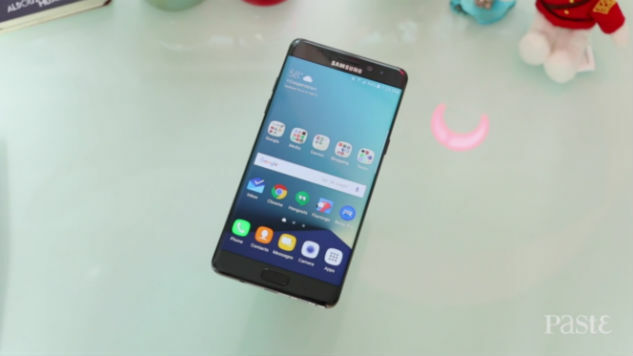 The Galaxy Note 7 was supposed to be a big score for Samsung. Released just before the iPhone 7, it was meant to steal some of the spotlight. Instead it blew up. Literally. A serious malfunction in the battery led to several reported cases of the phone catching fire. Airlines were quick to ban the phone on-board and the Korean company was forced into a global recall. This month the company announced a software update that would permanently disable the use of the phone. Samsung Galaxy Note 7, 2016-2016, we hardly knew ye. Not so much a death but Pebble was acquired by Fitbit, which is leading to the end of the brand. The Kickstarter darling’s IP will be absorbed into Fitbit along with whatever its future products are. For the loyal fans of watches like the Time and Time 2, it will be a hard pill to swallow (though it’s expected that Pebble will maintain support for at least a year or so). But in a market where smartwatches just haven’t taken off in the way their creators hoped, will Pebble be the only company to endure such a fate? Long rumored, it actually happened with Apple having the, well, “courage” to do away with the headphone jack on the iPhone 7. As much as Apple tried to dress it up as a bold new move towards a totally wire-free world, the dissatisfaction from customers was palpable. If it ain’t broke, right? Nevertheless AirPods are here (after delays of course) and the market is shifting to say goodbye to the headphone jack for good. Meerkat was once the belle of the ball for a fleeting moment. The livestreaming app made its debut at SXSW in 2015 and was the subject of much hype but it was short-lived. Twitter soon acquired and re-launched Periscope and used its much bigger user base to make short work of Meerkat and since then Facebook Live has truly become to go-to live streaming option. The writing was on the walls for Meerkat, which shut its doors in October. Its founders are now working on Houseparty, a fresh attempt at livestreaming and have pulled in more than $50 million in funding. Let’s see if things pan out differently this time. Blackberry is a shell of its former self. While once a pillar of the cell phone industry, the arrival of the smartphone sounded its death knell. It’s tried to salvage things like the Blackberry Classic, a phone that was a call back to former glories. After just 18 months, it was discontinued this summer. Maybe people truly are done with buttons for good? The move also signals the company’s move deeper and deeper into enterprise and government software, leaving phones in the trash pile once and for all. In May Mozilla stopped supporting its Firefox operating system for smartphones. It didn’t come as much of a surprise. Mozilla’s smartphone aspirations always struggled. While taking on Android and iOS was ambitious and even admirable, in hindsight it was doomed from the get-go. And so, the smartphone OS world remains dominated by two players and that’s not changing any time soon. Dell made Android tablets. Didn’t you know? They were actually some of our favorite Android tablets of last year, most notably the Dell Venue 8 7000 and Dell Venue 10 7000. The Venue line of tablets was discontinued in June and current owners won’t receive any more updates. Dell cited an oversaturated tablet market where demand is dying as reason for the move and said it was focusing on 2-in-1 devices moving forward. It wasn’t the surprising move for Dell. The Venue line of tablets never set the world on fire and was hindered by the occasional hiccup like the many delays in pushing out Android Lollipop to devices. Toshiba pulled the plug on its consumer laptops this year. After years of failing to turn a profit on consumer laptops, the company has opted to end its offerings in this space and shift more focus on B2B in North America and Europe where it may stand a better chance. The news came around the same time in March when Toshiba was also forced to recall laptops sold between 2011 and 2016 thanks to faulty battery packs that were overheating. No, seriously. The VCR died in 2016. Funai Electric, a Japanese company that manufactured VCRs for more than 30 years, was the last big hold out when it came to the medium of VHS—until 2016. Once upon a time it was selling 15 million machines a year. Last year that figure was down to 750,000, which is still quite surprising. 750,000 people felt the need to buy a VCR last year? Funai’s decision to cease manufacturing won’t be noticed, most retail stores stopped selling VCRs over a year decade ago but it’s still the end of the era.